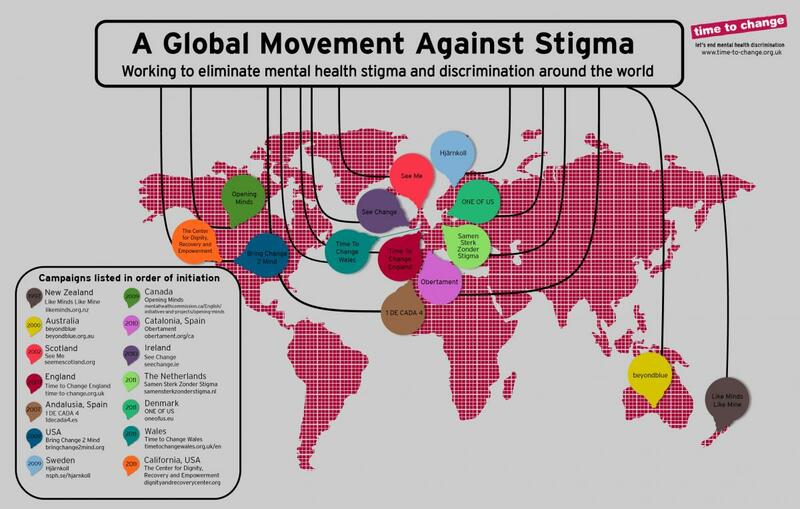 The Global Anti-Stigma Alliance (GASA) was founded in 2012 to share learning, methodologies, best practice, materials, and the latest evidence in order to achieve better outcomes for people facing stigma and discrimination related to mental health issues. GASA was co-founded by the Director of Time to Change in England (Sue Baker) and the Director of Opening Minds in Canada (Mike Pietrus). The core group includes Australia, Canada, Denmark, England, New Zealand, Scotland and the USA. Other global campaigns that form part of the wider Alliance include The Czech Republic, Hong Kong, Ireland, The Netherlands, Northern Ireland, Portugal, Spain and Catalonia, Sweden, and Wales. These countries are running significant national-level mental health anti-stigma programmes. As interest in tackling mental health stigma and discrimination is growing across the world, and at global levels, GASA members are keen to support others. Time to Change (England) holds the GASA secretariat and Chair role, but without any dedicated funding for GASA these activities are limited; members receive a quarterly newsletter written by Dr. Bettina Friedrich on a voluntary basis and we aim to meet face-to-face every 18-24 months, or ahead of the WPA Openings Doors stigma research conferences. The last Global Anti-Stigma Alliance meeting was held in Copenhagen 18–19 September 2017, ahead of the 8th WPA Together Against Stigma Conference.